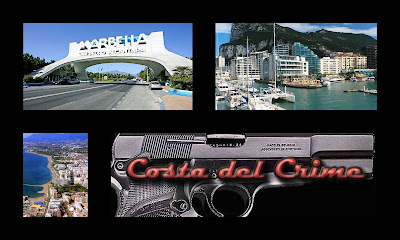 Costa del Gangster: Marbella was the best in the 80s, Freddie Foreman was cool. One of the main culprits locals blame for the disintegration of Marbella's image is Gary Lineker's brother, Wayne, a cheeky-chappie character with a big grin and even bigger bank balance. His chain of Lineker's bars have become hugely popular throughout Southern Europe. I interviewed him in his main Puerto Banus bar and he was totally unrepentant. In the great old days of the town, Ava Gardner and Audrey Hepburn would dine with the likes of Cary Grant and Laurence Olivier at the fashionable Marbella Club. Today, the cast list of luminaries is a little lower down the celebrity ladder. I ventured down to the coast again to meet up with Bianca Gascoigne, stepdaughter of footballer Gazza, at the infamous Nikki Beach bar. As we spoke, hundreds of half-naked young people began spraying vintage champagne on each other in a four-hourly exercise called, naturally, Champagne Spray Party. And that is the attitude of most of the revellers in Marbella. 'Having fun' is the order of the day, and as much of it as you can possibly cram into 24 hours. 'I'm meeting up with Calum Best later,' Bianca giggled, conjuring up the mind-boggling prospect of a Best and a Gascoigne getting drunk together. One reason the celebrities at each end of the ladder love it so much is that nobody in Marbella, outside of the expats like Max Clifford, seems to care very much what you get up to or what you did in your past. I found one legendary old rogue, Princess Diana's cad James Hewitt, running a smart new restaurant called the Polo House in Marbella's most exclusive street. 'I had to get away from Britain,' he admitted, 'and this has been the perfect refuge for me. There are no paparazzi, nobody bothers me except when I am happy to be bothered in the restaurant, and I've found the peace and privacy that I could never have back home. 'It's also a very comfortable lifestyle here. But there are two very different worlds. Since the cheap easyJet flights came in, all the hen and stag parties have started flooding into Puerto Banus, and that's changed the character a little from the quite smart, glamorous place it used to be. That's indisputably true. But the rich still head down to the port occasionally to hit their credit cards in one of the world's most expensive shopping precincts. I went shopping with former Birmingham City soccer boss Karren Brady. She's about to join Lord Alan Sugar as his new Apprentice sidekick, so should know a thing or two about business. But watching her sweep through Gucci, Prada and Fendi like a human vacuum cleaner was a terrifying spectacle. Her eyes alighted on a rather plain-looking handbag. 'Oooh, that's lovely,' she cooed. 'You can never have enough handbags.' This one boasted a price tag of £15,000. 'Who the hell buys this kind of thing?' I gasped. And that, at its heart, is Marbella. A place to retire to, party in, make a fortune, spend a fortune, drink shots, get shot --whatever takes your fancy.